Increasingly business-oriented and international, the expo is more and more a food service reference point. Held simultaneously with BB Tech Expo and Food Attraction, 2019 hosts the new feature of Italgrob’s International Horeca Meeting. BEER ATTRACTION is growing and renewing. With over 600 companies, with an increase from 7 to 10 halls, Beer Attraction continues to grow and highlight business. Now at its fifth edition, the Italian Exhibition Group expo has become a reference point for all food service trade members. On one hand, there is the most complete range of national and international beers and beverages, on the other, with the FOOD ATTRACTION, brand, there’s all the food for the HoReCa channel. BEER ATTRACTION, along with FOOD ATTRACTION, stands out on the international scenario for its original innovative format, which combines craft and specialty beer with food specialities for food service. 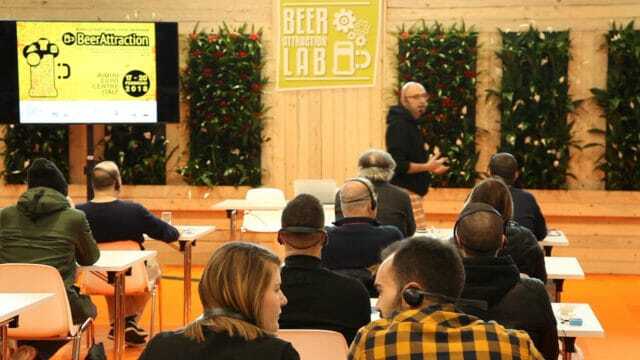 BEER ATTRACTION, being held from Saturday 16th to Tuesday 19th February at Rimini Expo Centre (south entrance from Via Emilia), addresses trade members only. Only on Saturday 16th February, it is also open to foodies and beer lovers. BEER ATTRACTION represents the entire product chain, thanks to the fact that it is held simultaneously with BB Tech Expo, the professional trade show of technology for beer and beverages. The winning “show within a show” format brings together all the beverage producers and raw material and processing & packaging technology companies. The 5th edition of the expo, the leader in Italy for speciality beers and craft beers, will feature an important evolution. In fact, simultaneously with Beer Attraction, Food Attraction and BB Tech Expo, Italgrob’s International Horeca Meeting, the Italian food service event, is arriving on the Riviera. All the food & beverage product chain’s sectors are thus to be found, from leading brands to craft breweries. Even more space will be dedicated to internationality, with the confirmation of the Lounge Area reserved for foreign buyers and particular attention to the United States (the huge USA Brewers Association is also taking part), as well as the German, French and Spanish markets (the expo is also hosting a “collective” of 12 Valencia breweries).